I was reading an article on The Atlantic about why employers often have a hard time finding workers even during periods of high unemployment. I saw the sentence, “And workers now really need to think of learning as a lifelong task.” My mind made a leap and it occurred to me that might be the message the arts need to ride the coattails of. People are changing jobs more frequently now, either involuntarily, or as we are told of Gen Y, out of a desire to do something meaningful. I am sure there will be a lot of articles and news stories over the next few years about how people need to be more agile and keep renewing and reviewing their knowledge and skills. Two hurdles that must be overcome are the perception that the arts are an indulgence and that learning is an onerous chore. This provides an opportunity to advocate for arts education by pointing out that learning in an artistic/creative context provides the sense of fun that makes the experience more enjoyable. And in fact, may assist in keeping them engaged in the process of maintaining their professional/vocational skills. 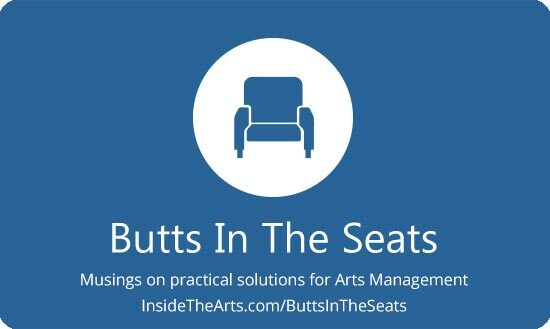 There is a great proliferation of information sources for self-directed learning about the arts that don’t require one to expose themselves to the elements of the event attendance experience that intimidate- blogs, online videos, websites, classes, lectures, master classes and volunteering. People just need to be made better aware of them.